Namibians will enter the New Year with the happy knowledge that fuel will cost them up to a dollar less per litre when travelling back home after the holiday season. 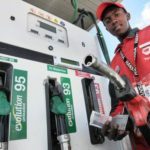 The Ministry of Mines and Energy announced on New Year’s Eve that petrol will cost 90 cents less per litre and all grades of diesel a dollar less per litre than at the start of December. 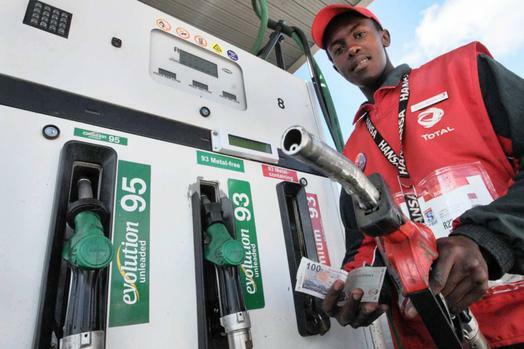 The reduction in fuel prices will come into effect at one minute past midnight on the 2nd day of January 2019. According to the official statement issued by the ministry global oil prices have fallen by approximately 30 percent since peaking in early October 2018. According to the ministry’s statement fuel pump prices in Walvis Bay will reduce to N$12, 05 per litre while 500ppm diesel will cost N$13, 08 per litre and 50ppm N$13, 13 per litre early on Wednesday morning. This price will be adjusted a little upward in towns further away from Walvis Bay. Next : It’s already New Year somewhere!